Ranch seasoning packets taste delicious and are soooo versatile! Pork chops, dips, chicken, cheeseballs, dressings…so many possibilites! But I don’t like all the extra junk they add into the store bought seasoning packets. 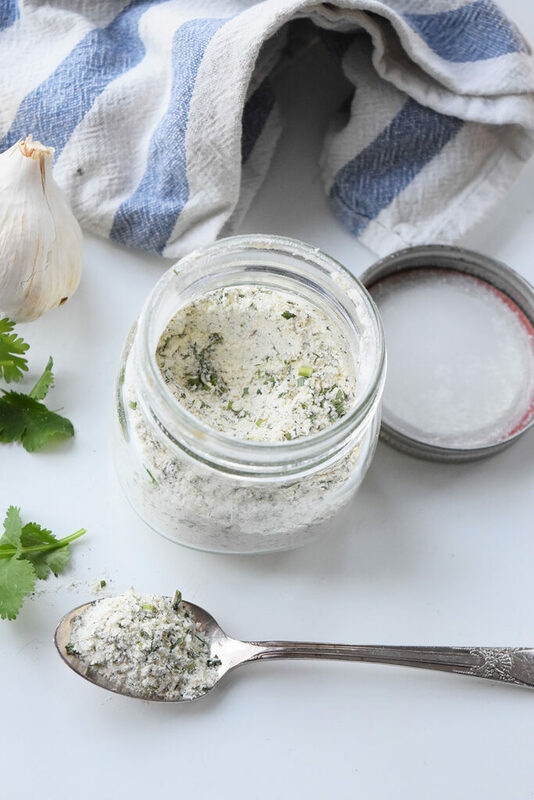 With a few ingredients you probably already have at home you can make delicious, tangy Ranch Dip Mix in no time! Well, there’s one ingredient you probably don’t have at home and that’s buttermilk powder. But it is really easy to find. Just look in the baking section of any old grocery store. It’s usually on a top or bottom shelf near things like corn starch. Once you open the buttermilk powder it needs to be refrigerated, so the dip mix also needs to be refrigerated. It keeps fresh for sixth months though!! Love this dip and I hope you do too!! Whisk all of the ingredients together in a small bowl until completely combined. Place in an airtight container and store in the refrigerator for up to three months! Have been wanting to make this but not able to find Buttermilk power in the grocery store here and I’m not a person who likes ordering on line. Saving the recipe tho just in case I come across the dried buttermilk powder someday. I’m sorry you haven’t been able to find it in the grocery store near you 🙁 For reference, this is the brand that I buy http://www.walmart.com/ip/Saco-Cultured-Buttermilk-Blend-12-oz/10319960 I hope you find it in store someday!! I finally was able to get me some canned Buttermilk Powder yesterday. I bought the last 2 containers that WalMart had on the shelf. I had found it on bottom shelf where the regular powdered milk is located. WalMart has been out of the Buttermilk for sometime which is why I wasn’t able to find it.